If BMW talks in Indonesia, maybe in your mind you will imagine a sedan model and SUV premium and sporty. 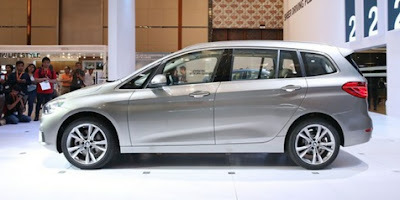 In 2015 and then, BMW has launched an MPV that is divided into two models. Namely 218i Active Tourer MPV version 5 passengers, and Grand Tourer MPV version 7 passengers. Even this year, 218i Active Tourer and Gran Tourer are not included in BMW Indonesia official price list. BMW Group Indonesia Vice President of Corporate Communications Jodie O'tania explained that the sale is not discontinued but now there is no more stock in the dealer. Both of Germany's intact import models are still sold, but only when ordered by consumers. "Talk again about the core of the BMW brand that is sporty. Usually BMW fans are people who like to emotionally, driving, not just just functional, "said Jodie, Thursday (15/3/2018). "Yes indeed the direction is not to functional, 7-passenger it's functional.Not not interested, if not interested certainly not presented in Indonesia, but the demand is still growing," lid Jodie.